Excellent find in this move-in ready home located in the established Stillwater subdivision located between Clemson and Seneca. Very gentle sloping lot offers loads of natural light in all-one-level living with three bedrooms and two full baths with no steps. A private bonus suite is located over the garage offering a fourth bed and third bath option; great for a family game room, home office or extra guest space. Special features include a spacious 18x13 patio overlooking a peaceful, private backyard, firepit seating, a gas log fireplace and open living/dining room floorplan with specialty ceilings. Endless possibilities in a renowned neighborhood. 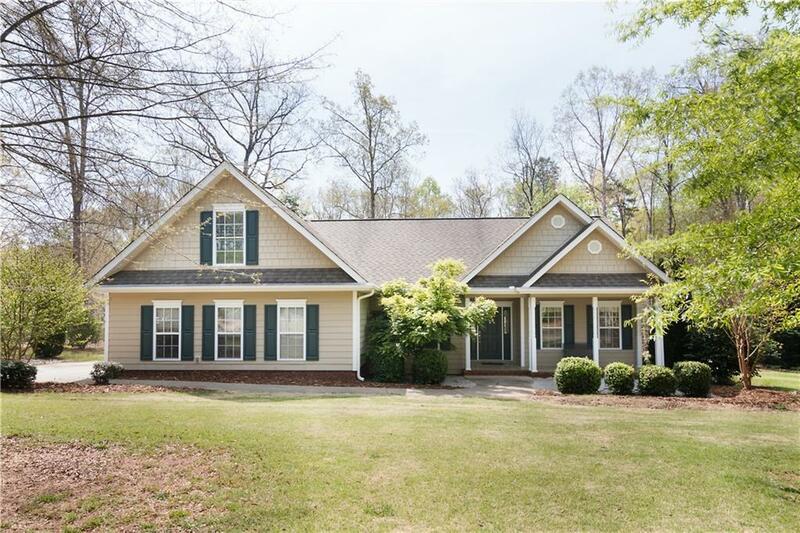 This home is situated on a private, corner lot that backs up to Clemson University property lending itself to established surroundings with no uncertainties or unwanted surprises. Convenient to the community pool, tennis courts, playground and nature trail. Stillwater is five miles from Clemson University and just minutes from Seneca shopping, restaurants and entertainment. It is also an easy approximate forty five minute drive to Greenville. Located on the shores of Lake Hartwell and only minutes from Lake Keowee offering plenty of lake access points close to home. Active, friendly and established, look no further for your next address. Master Bath: 13&apos;3" x 6&apos;3"